DNA methylation, DNA copy number alterations, mRNA expression, miRNA expression? Figure 1. All multiple layers of high-throughput molecular data, including DNA methylation, DNA copy number alterations, mRNA expression, microRNA (miRNA) expression as well as TP53-mutation status, were subjected to integrated analysis using the PAthway Recognition Algorithm using Data Integration on Genomic Models (PARADIGM). This resulted in five clusters (part a) with survival differences (part b) and this was validated in multiple other datasets87. A heat map of integrated pathway levels (IPLs) is shown in part c. FOXM1, forkhead box M1; IL, interleukin: PDGM, PARADIGM cluster; TCR, T cell receptor; TIE2, tyrosine kinase, endothelial. From Principles and methods of integrative genomic analyses in cancer. Nat Rev Cancer. 2014 May;14(5):299-313. doi: 10.1038/nrc3721. How early in cancer development can we observe deregulated pathways? Are the deregulated pathways in breast cancer reproducible? Figure 4. 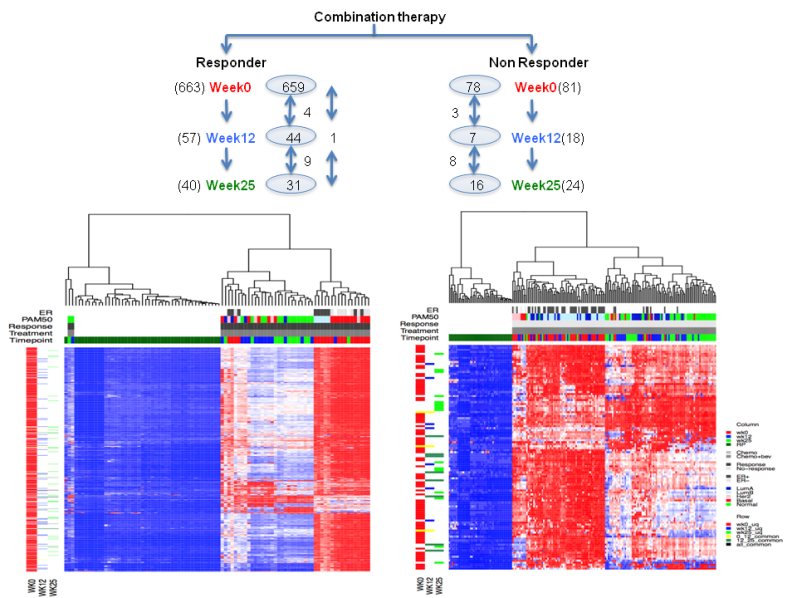 Heatmap showing dergulated pathways in chemotherapy arm responders and nonresponders at three time point. Figure 5. Heatmap showing dergulated pathways in combination arm responders and nonresponders at three time point. 1. Himanshu Joshi 03.04.2014; Title of the thesis: Towards pathway and network -based medicine in breast cancer. 2. David Quigley 27.10.2014; Title of the thesis: Rewiring of Genetic Networks in Breast and Skin Cancer Progression. 1. 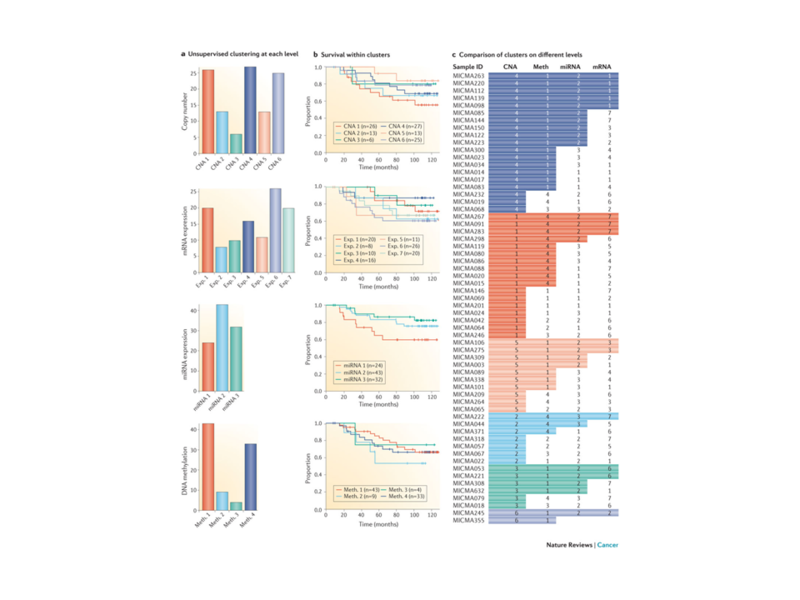 Principles and methods of integrative genomic analyses in cancer. Nat Rev Cancer. 2014 May;14(5):299-313. doi: 10.1038/nrc3721. 2. 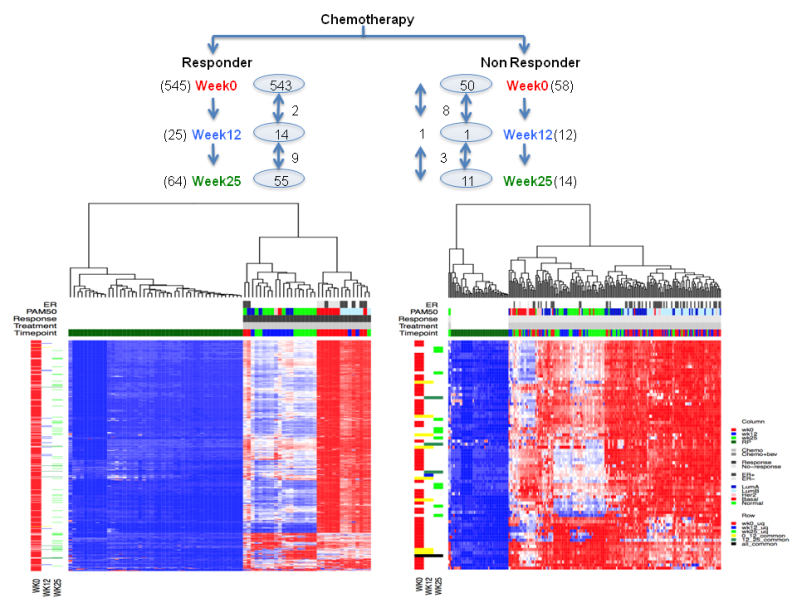 Integrated molecular profiles of invasive breast tumors and ductal carcinoma in situ (DCIS) reveal differential vascular and interleukin signaling. Proc Natl Acad Sci U S A. 2012 Feb 21;109(8):2802-7. doi: 10.1073/pnas.1108781108. Epub 2011 Sep 9.